After several placings, consistent galloper Really Reilly finally broke through for his maiden victory last week with a win in the Colts, Geldings and Entires Handicap at Doomben. After jumping away well in the 1350m event, the four year old settled in fifth position in the field of eight. With the track rated a heavy 9, he seemed to hit a flat spot approaching the turn but once he got to the outside in the straight he showed a good turn of foot to clear away and score by a length. 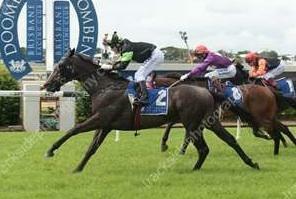 After starting his career in New South Wales, the O'Reilly gelding was sent north to Steven O'Dea in June last year. Prior to Wednesday's win he had recorded seven placings in his eight starts under O'Dea and connections were confident a win wasn't too far away.